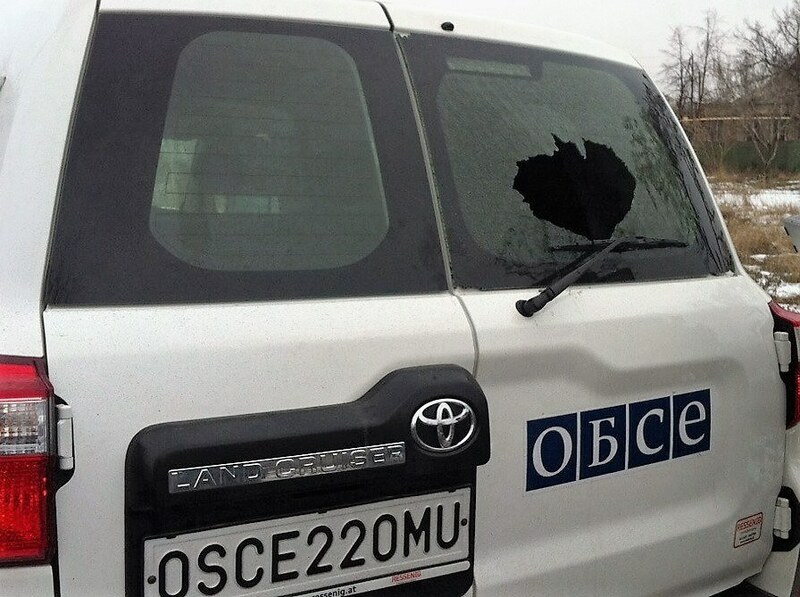 Today on January 16 a sniper of illegal armed groups attacked OSCE mission patrol vehicle from the territory of Donetsk Region which is now not under controlled of Ukrainian government. Representatives of special monitoring mission were not hurt, their life is not in danger, but the vehicle was damaged. There is no gas in Mariinka for more than six months already, today there are works to fix damaged gas pipeline and restore gas supply. Representatives of OSCE SMM were on patrol with Ukrainian officers of Joint Centre for Control and Coordination (JCCC), engineers of State Emergency Service of Ukraine and soldiers of civil-military cooperation tactical group “Donetsk”. The main task of joint patrol was to provide security for civil personnel that who were doing repair works. Observers of Ukrainian part of JCCC have noted on numerous occasions that shelling from the side of militants of illegal armed groups continue in order to postpone the process of restoration of infrastructure located on the territory controlled by Ukrainian government, also in Mariinka town and to frighten OSCE SMM observers and repair workers. Ukrainian side of JCCC insists that it is unacceptable for people to work under shelling and there was a group created inside Ukrainian side of JCCC in order to work on restoration of infrastructure of Donbass. 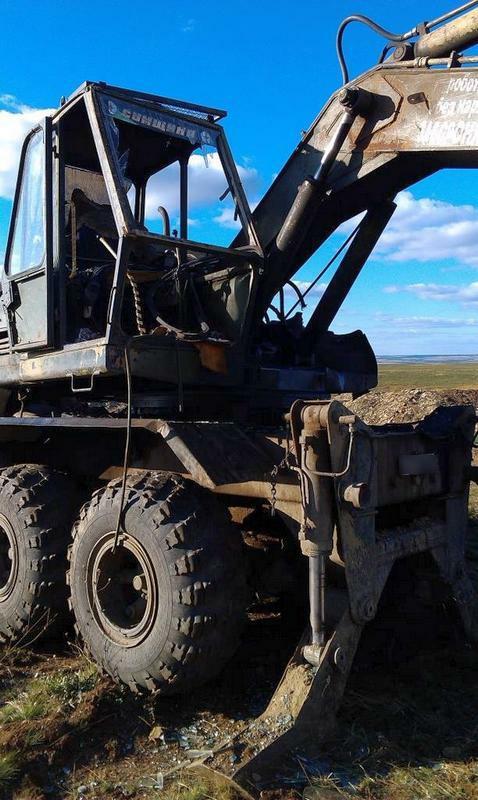 Again we have to say that Russian side of JCCC right now can’t secure complete cease-fire from the side of militants even during repair works on restoration of electric power lines, water pipes and gas pipes on the territories that were defined as priority in Minsk. 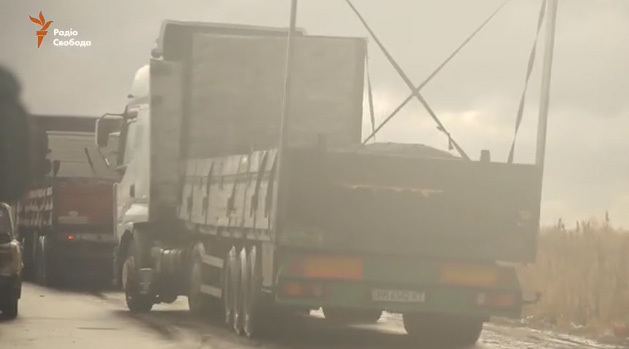 The OSCE Special Monitoring Mission (SMM) to Ukraine can confirm an incident in which fire hit one of the SMM vehicles while on patrol in Marinka, close to the contact line in the Donetsk region. None of the SMM patrol members was injured, one vehicle sustained damage. The patrol left the area immediately. The Joint Centre for Control and Coordination (JCCC) has been informed about the incident. A Spot Report will be issued later today. The SMM condemns this violent attack against its unarmed civilian monitors. Ministry of Foreign Affairs of Ukraine strongly condemns the shooting at the OSCE Special Monitoring Mission (SMM) vehicle by Russia-backed militants on 16 January 2016 in the area of Maryinka. 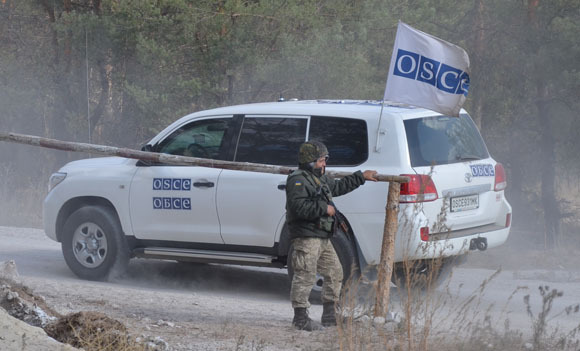 We regard this case as a blatant attempt to intimidate the OSCE SMM observers and yet another evidence of the deliberate violations by Russia and its proxies of their obligations under the Minsk agreements. We demand to stop provocations against the OSCE observers, servicemen of the Ukrainian Armed Forces and civilians, as well as to ensure the SMM security and its unhindered access to the whole territory of certain areas of Donetsk and Luhansk regions, including the uncontrolled by Ukraine sections of the Ukraine-Russia border. Despite the meeting in Minsk yesterday where it was agreed to stop fire in the East of Ukraine, pro-Russian militants continue to violate cease-fire and made 70 attacks of Ukrainian positions. 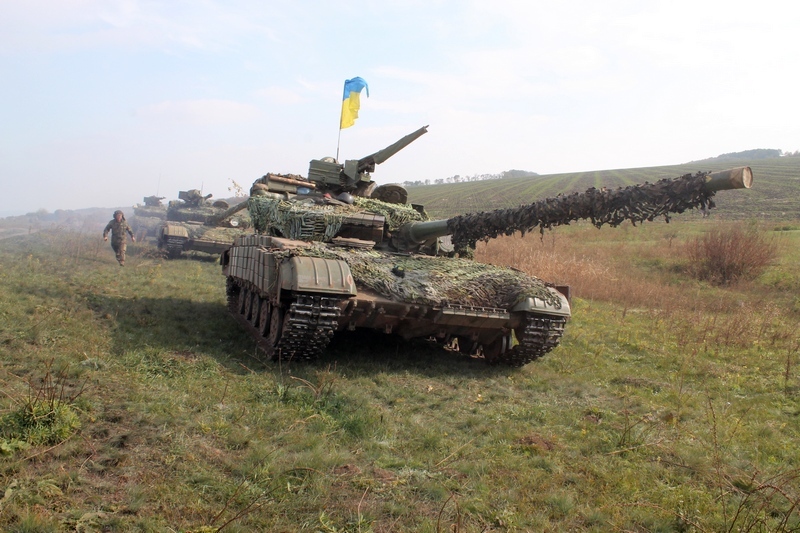 2 Ukrainian soldiers were wounded. Below you can see report made today by Headquarters of Anti-Terrorist Operation Press Center. Yesterday on January 13, when there was a meeting of the Trilateral Contact Group that aims to de-escalate the conflict in Donbass region of Ukraine, Russian-terrorist groups supported by authorities of Russian Federation were intensively violating cease-fire agreements achieved before. Militants used weapon against ATO forces 70 times, that was the highest number of military provocations during 24 hours since the beginning of this year. Yesterday in Minsk it was agreed that starting from 00:00 of January 14 there should be no cease-fire violations in ATO zone. Representative of Russian side made a statement about the need to follow cease-fire agreement. 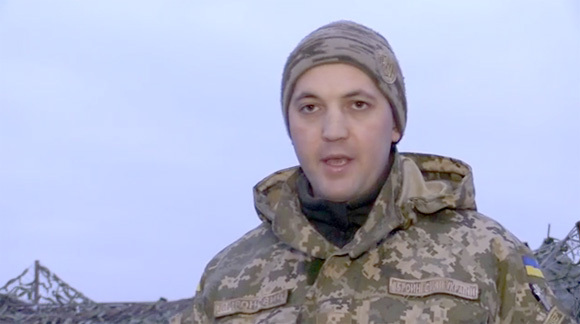 That was not news for Ukrainian soldiers. 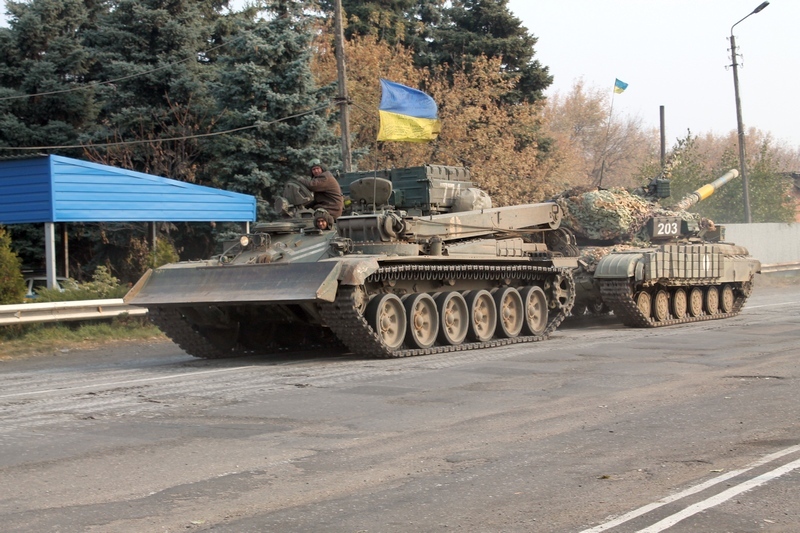 Before New Year ATO forces received official order not to open fire and they were following that order. Our unites opened fire only in response to attacks and they were using small firearms in order to suppress enemy attacks when there was direct danger to lives of soldiers and civil population. But the enemy din’t stop attacks, shelling continued almost all along the contact line, sometimes the enemy used heavy weapon. 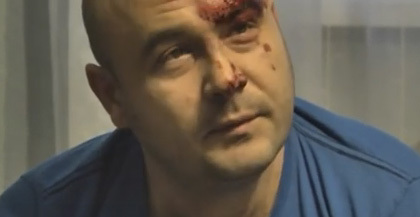 At the same time Kremlin puppets were groundlessly blaming Ukrainian side in such crimes. Hybrid Russian-terrorist groups didn’t change their tactics since even after the latest agreements regarding cease-fire were finalized. 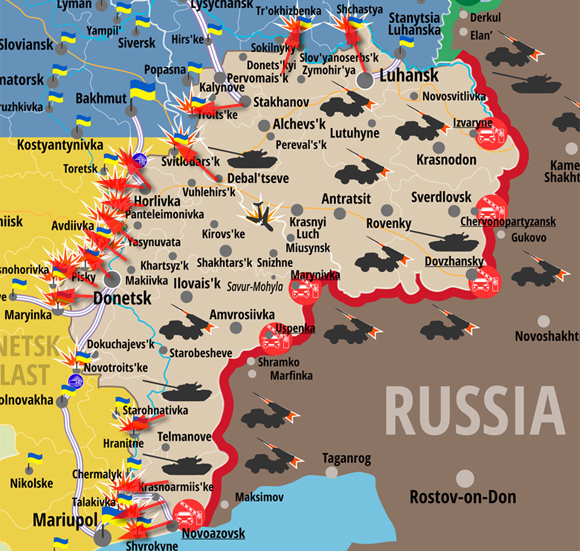 Starting from the midnight the enemy opened fire in the direction of Ukrainian soldiers positions 20 times already. The shelling goes on even now. But that’s not everything they do. 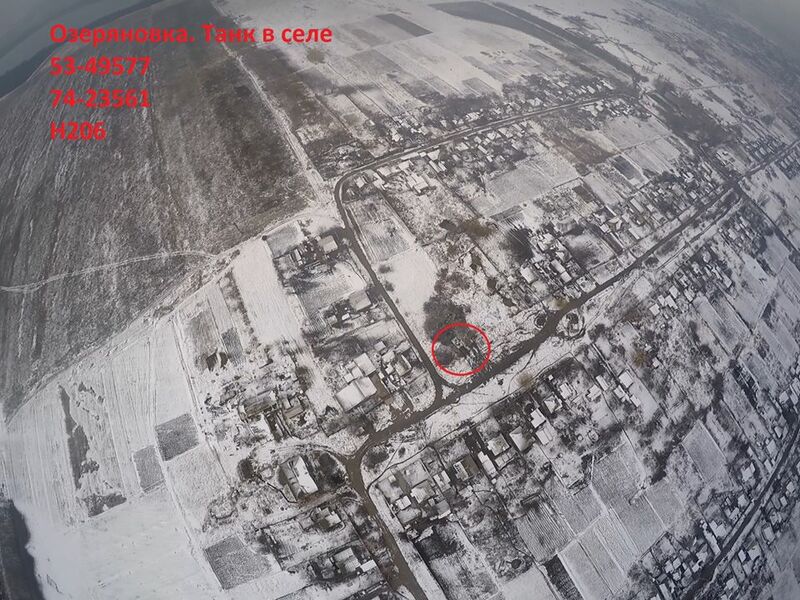 Today at about 10:30 enemy sabotage and reconnaissance group was spotted near occupied Kominternove village located in so called “gray zone” near Mariupol. 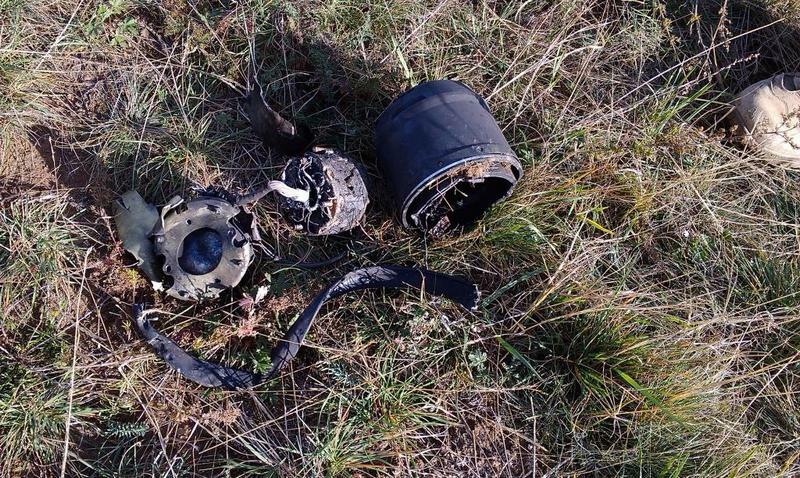 Saboteurs were going to make another military provocation and sacrifice lives of civilians of Vodyane village located not far from there, the aimed houses of locals and also directed fire at positions of one of Ukrainian units located in that area. Our soldiers stopped attackers and saved local people. 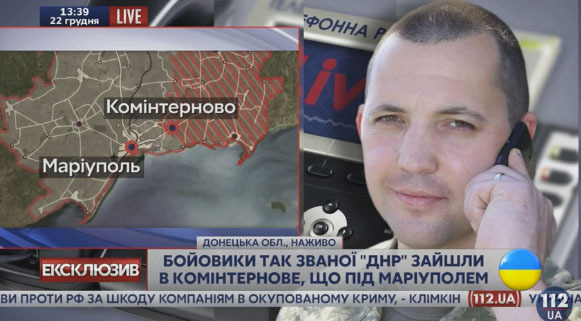 According to information of Ukrainian intelligence, Kominternove (that was invaded by occupants despite agreements) was turned into one of the training bases of sabotage and reconnaissance groups of the enemy. Those specially trained criminal groups of militants will be used for further escalation of the conflict in the nearest future in order to provoke ATO units to violate cease-fire, and they also put psychological pressure on civilians who became hostages of bandits supported by Russia. Obviously leaders of non-existing “republics” are playing insidious game when they claim in public that they want to solve the conflict peacefully. Security and prosperity of civilian population have never been a priority to them. They can only get trust from Russian curators, effectively use weapon and money they got from the East, only violating everything what is normal for civilized society. And militants interpret cease-fire agreement in their own way as we can see. Today National Security Council of Ukraine also reported that 2 Ukrainian soldiers were wounded when their vehicle was hit by a landmine near Mariupol. 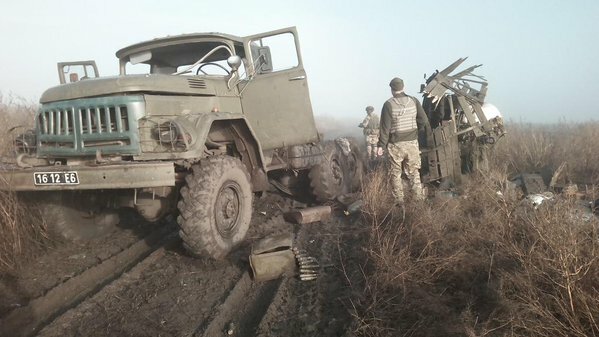 You can see original post in Ukrainian at http://mediarnbo.org Yesterday volunteer who helps Ukrainian soldiers on the front line posted photos of that truck at his Twitter account https://twitter.com/milhlopak According to him this happened near Vodyane village located just between Mariupol and Kominternove occupied by pro-Russian militants of DPR. 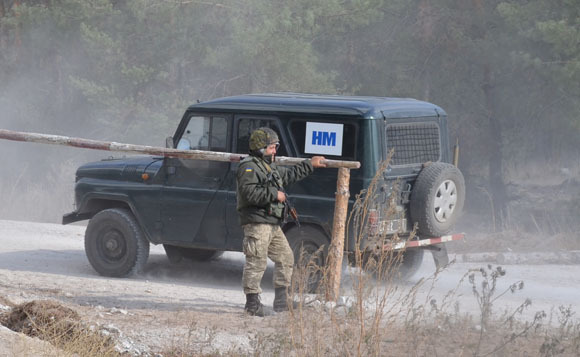 The SMM continued to monitor the security and humanitarian situation in Kominternove(“DPR”-controlled, 23km north-east of Mariupol, 92km south of Donetsk) and surrounding areas. 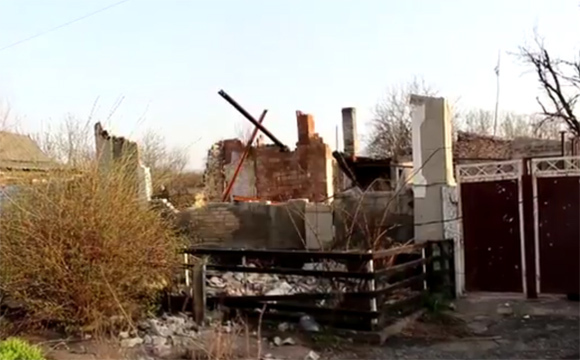 In Kominternove, the SMM spoke to a resident who stated that power supply to the village, which had been disrupted on 11 January (see SMM Daily Report 12 January 2016) had been restored on 12 January, adding also that on 11 January, after the SMM had left the village, explosions and small-arms fire had been heard in the area. 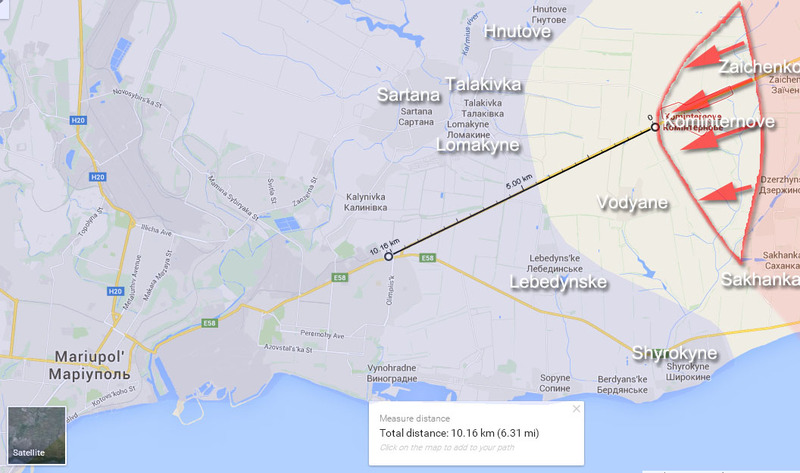 Whilst in Kominternove, the SMM heard one explosion approximately 400m south-west from its position. 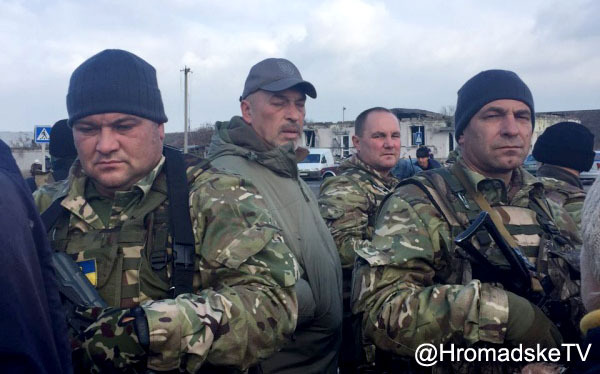 The SMM also saw five armed “DPR” members in military-type uniforms. 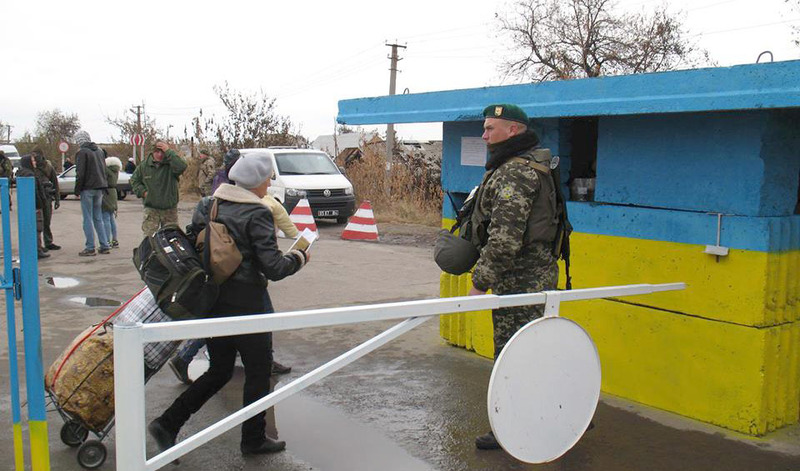 At the first “DPR”-checkpoint, located at the south-western entrance of Kominternove, a female resident informed the SMM that in order to pass the Ukrainian Armed Forces checkpoint at the outskirts of the village residents first have to register in Mariupol and demonstrate that they own property in the area. At a government-controlled checkpoint at the outskirts of Mariupol the SMM was approached by Kominternove residents (approximately 12, all around sixty years old and in five cars) who had gone to Mariupol to register for passes to enable them to move freely through Ukrainian Armed Forces checkpoints in the area. The SMM also visited Vodiane (19km north-west of Mariupol, 4km south-east of Kominternove) where, as during its most recent visit, it did not observe armed persons or any civilians (see SMM Daily Report 5 January 2016). 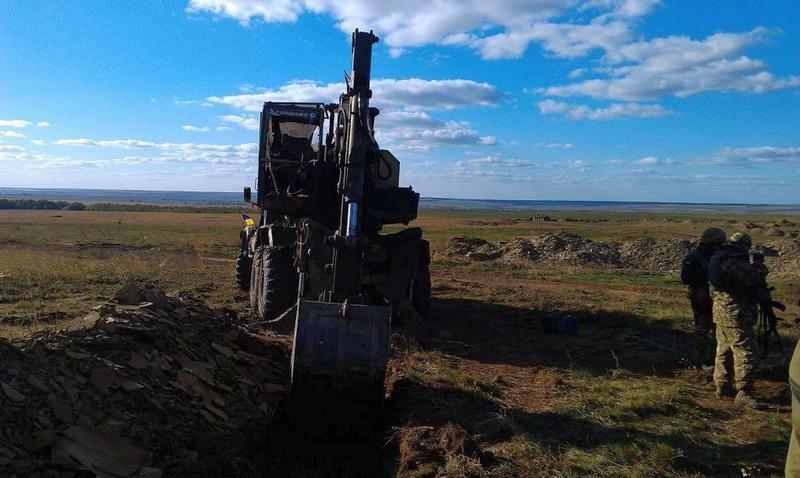 The SMM observed a “DPR” defensive position being prepared (trenches dug) on the road between Kominternove and Vodiane. From 7 am of October 10 till 7 am of October 11 2015 there was no single fact of cease-fire violation registered in Lugansk Region. 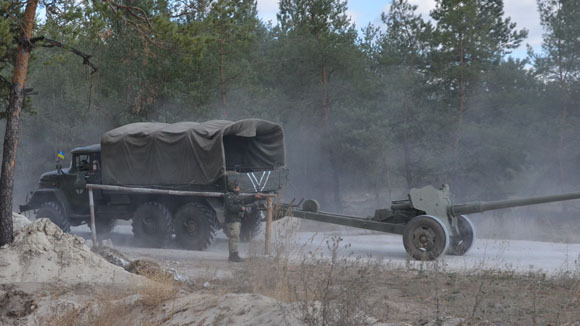 Yesterday Ukrainian Army continued to withdraw 85 mm anti-tank cannons D-48 from the contact line. 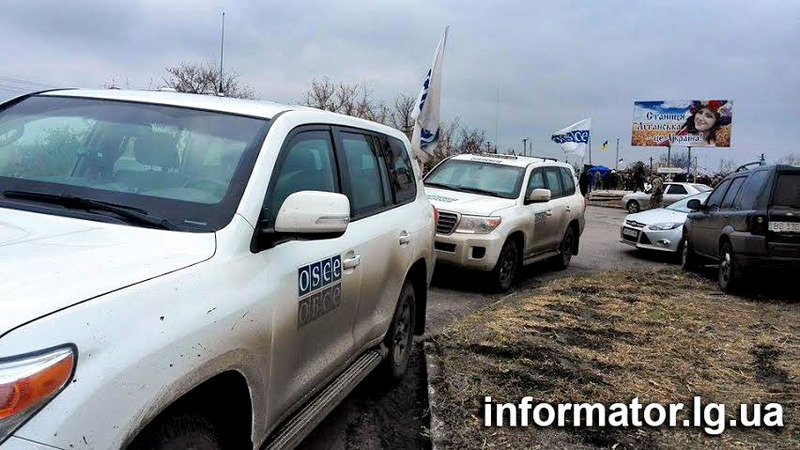 Special monitoring mission of OSCE observed the withdrawal process. There were also representatives of media there. 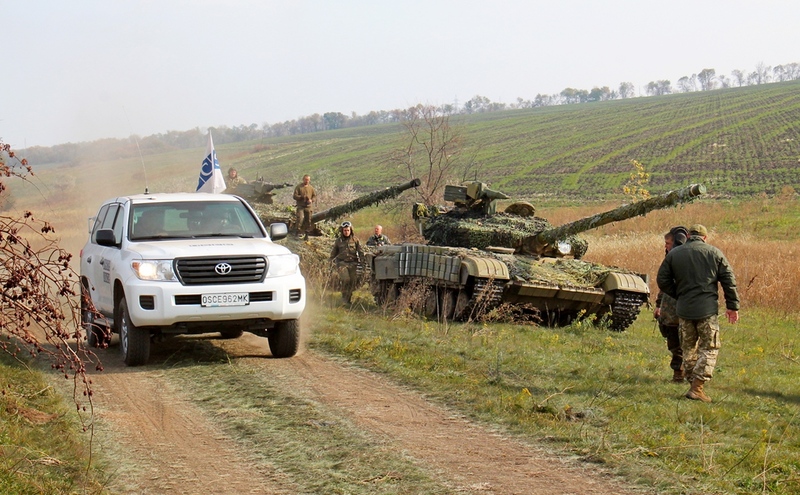 ATO forces follow Minsk Agreements completely and are open for SMM of OSCE. 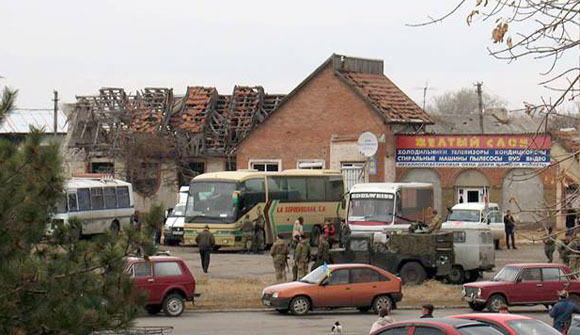 Today illegal armed groups violated cease-fire agreement cynically neglecting Minsk Agreement. 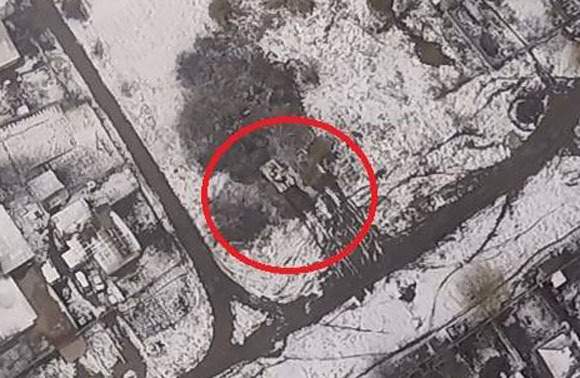 At 12:25 insurgents fired with ATGM at excavator that was building fortifications at Ukrainian Army position near Troitske village. As a result 4 Ukrainian soldiers were wounded. There were no other incidents registered by ATO headquarters from midnight and till 7 pm today. 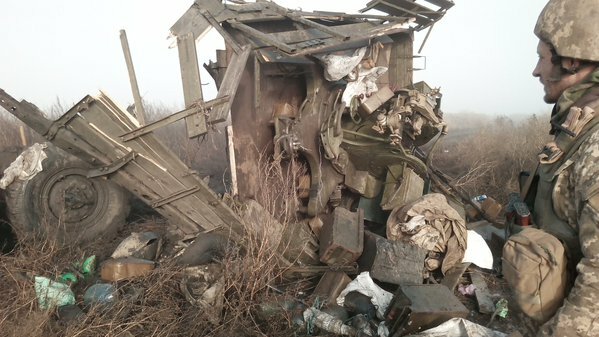 Ministry of Defense of Ukraine posted photos of the aftermath of the attack on Ukrainian positions. 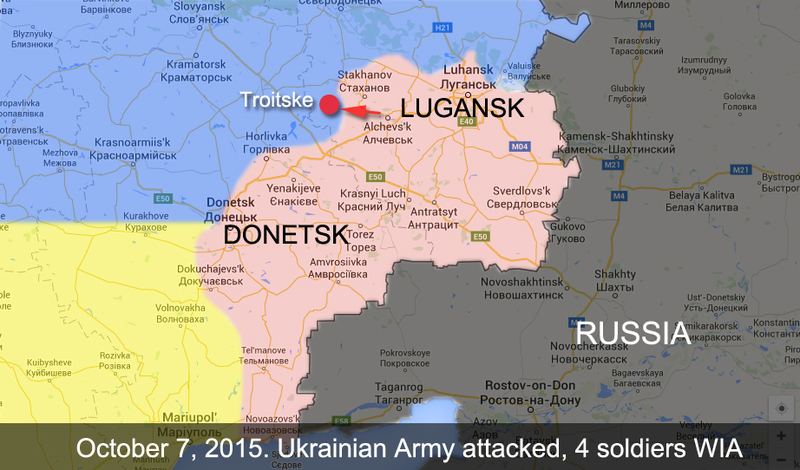 This was the 1st time in a month when insurgents fired in the direction of Ukrainian soldiers in that area. The enemy fired 2 rockets. 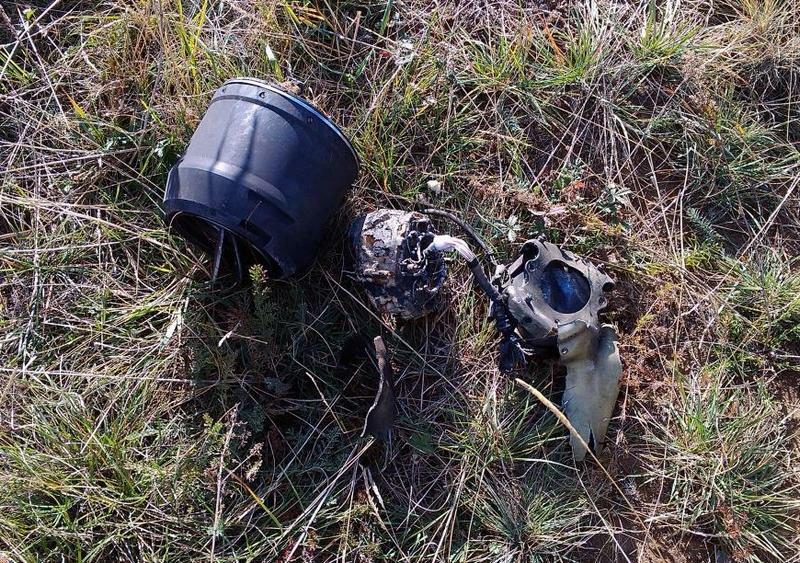 Members of JCCC who arrived there found remains of anti-tank guided missiles. 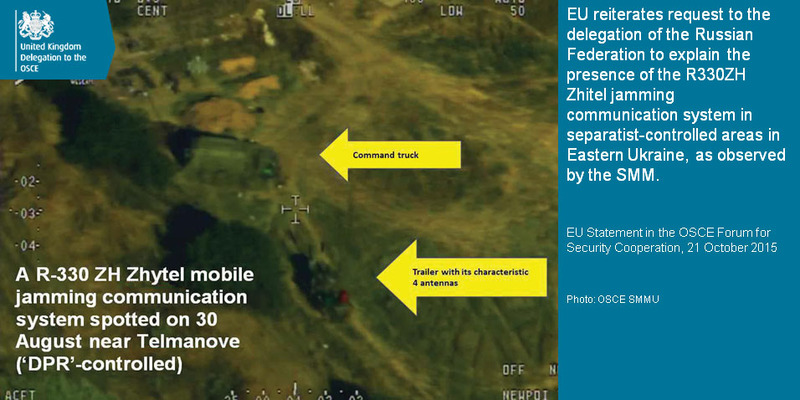 See full report of the Ministry of Defense here.